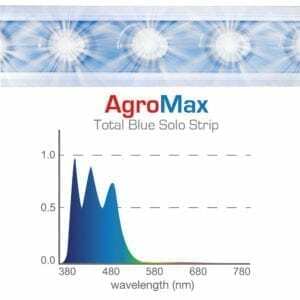 AgroMax HyPAR Vertical CMH 315 watt Grow Light Systems deliver all of the advantages of next-generation ceramic metal halide technology including superior spectral quality, high PPF, and reduced energy consumption. 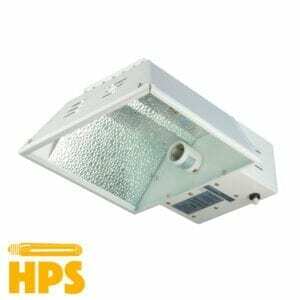 At the core of the system, the solid-state HyPAR square-wave digital 315-watt CMH lighting ballast drives horticultural 315 watt CMH bulbs to their full output potential. 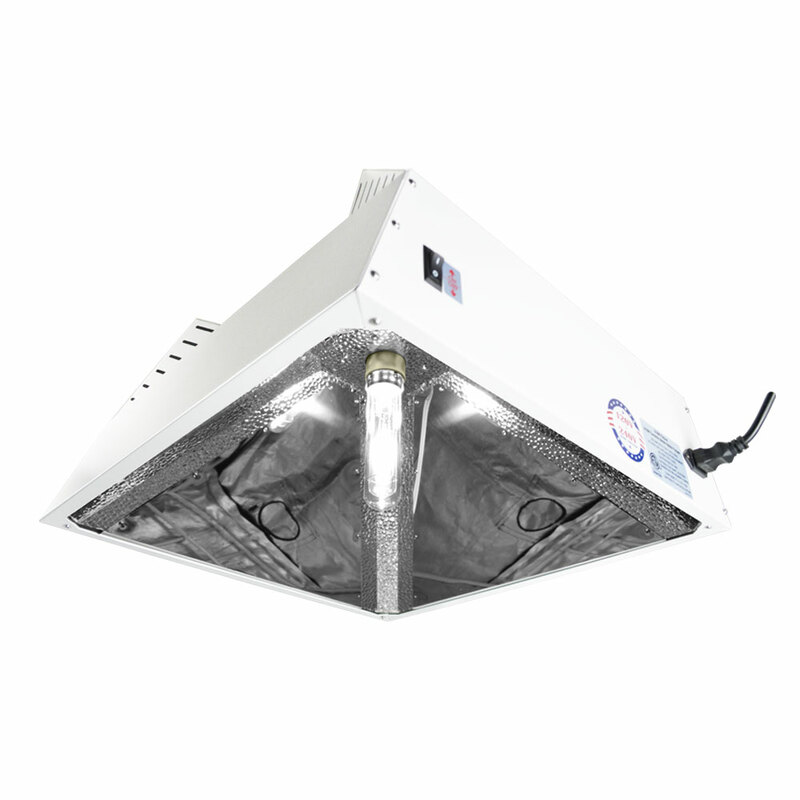 The Hypar CMH 315 system features an all-in-one, integrated system design for plug-and-play installation in any indoor growing application. 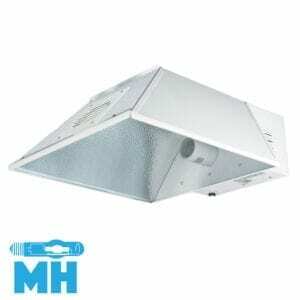 – The system includes hanger attachment hardware, power cord with standard (NEMA 5-15) grounded plug and your choice of CMH bulb. 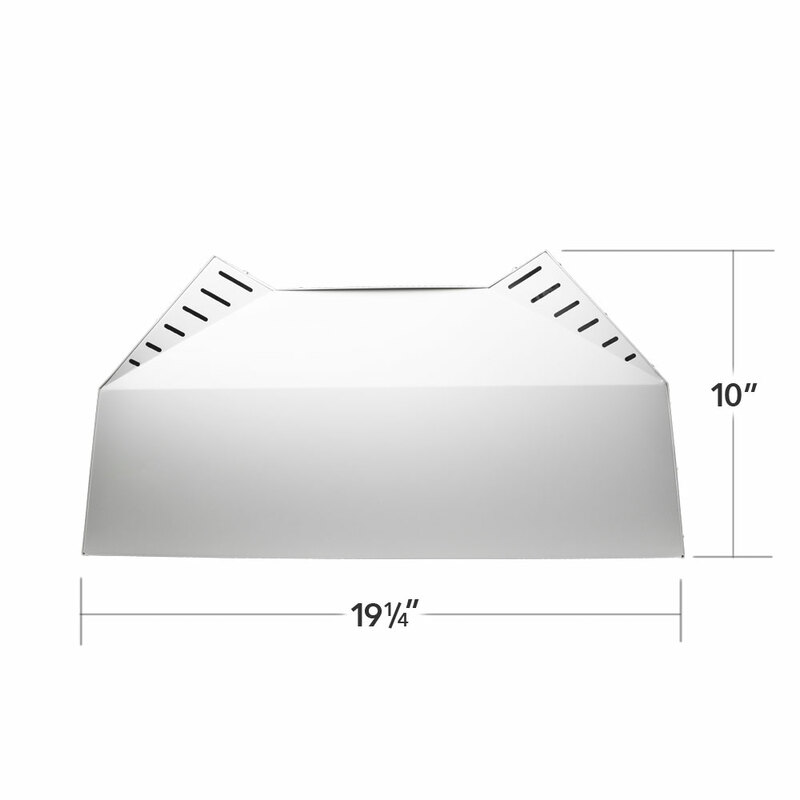 – 3’x3′ vegetative footprint and 2.5’x2.5′ flowering footprint. 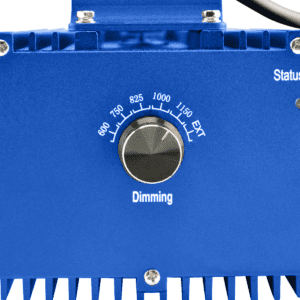 Default option includes standard 120v grounded power cord. 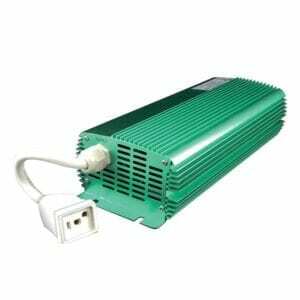 Choose 240v for power cord with 240v NEMA 6-15P plug. 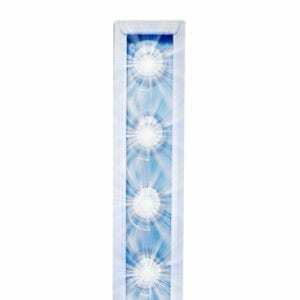 Save 20% on a spare bulb with your system purchase! 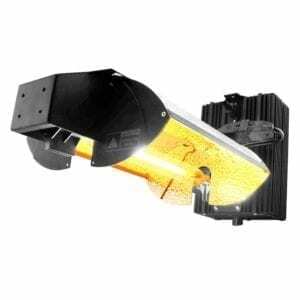 Grab accessories for your light at bundle discount pricing. The AgroMax HyPAR vertical CMH is one of the best fixture choices for a 3’x3’ indoor garden space. The square vertical reflector directs the light directly down to the canopy. 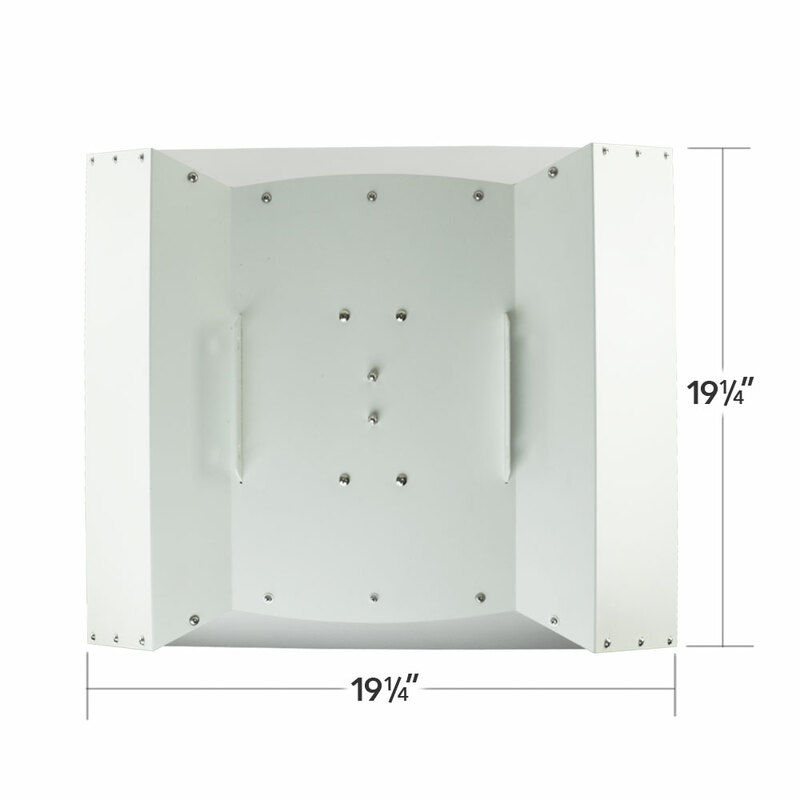 Highly reflective 95% Vega Aluminum panels in the fixture prevent light trapping in the reflector. 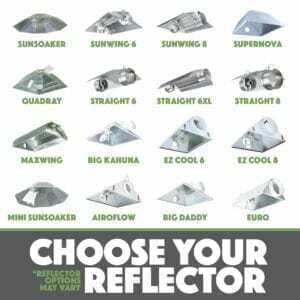 By ‘trapping’, we referring to light reflecting within the reflector more than 1 time before it is distributed downward. With a mirror-like finish and vertical lamp orientation, light takes a more direct route to the garden and trapping is minimized. 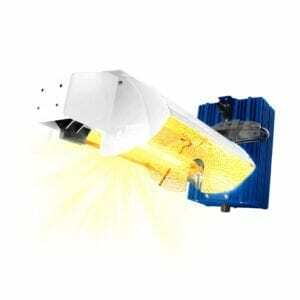 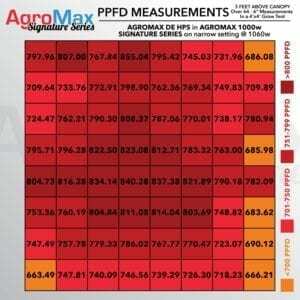 While efficiency is important, light spread is also a key factor to grow fixture efficiency. 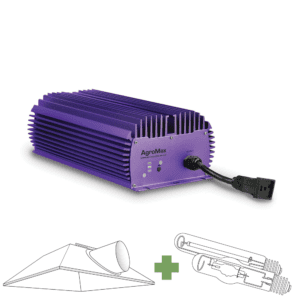 The HyPAR vertical CMH 315 watt grow light design provides an extremely even spread for 3’x3’ grow room areas – perfect for a grow tent! 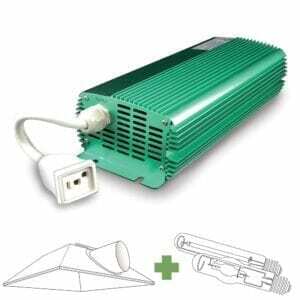 Designed specifically for optimal operation of 315w ceramic metal halide bulbs, AgroMax HyPAR ballasts produce a more stabilized light output using digital square-wave technology, which also eliminates issues such as interruption of cell phone, cable or Wi-Fi signals caused by EMI. 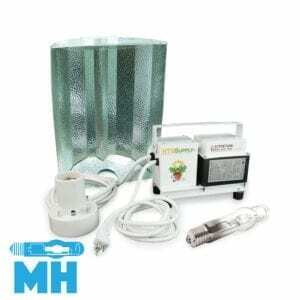 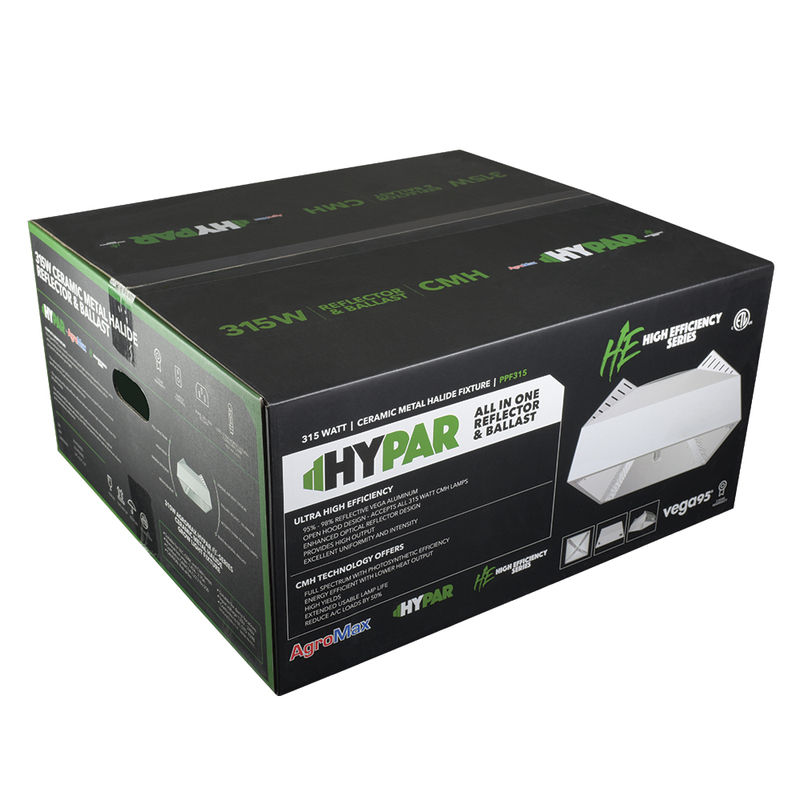 The HyPar vertical system features a PGZ18 socket, which allows it to be used with popular lamps including GrowBright, Solis Tek, Philips, and SunMaster 315w CMH models.